I often doubt myself. Am I smart enough? Am I a good mom? Am I good at my job? Am I a good friend? Am I a good daughter, sister, wife? As trying as this last year was for me, it was a building year: of friendships, family, life, and myself. In July 2018, I was laid off from a job I really enjoyed and it made me feel that I had not been appreciated for the work I had done. A week before my last day, I miscarried for the first time. During this time, a childhood friend of mine who was also pregnant decided that I wasn’t being a good friend. Reflecting back, maybe I wasn’t, but I think I was so focused on healing, and on myself, that I may have not realized what I was saying or doing. Unfortunately, harsh words including accusations of me being jealous of her pregnancy, led to the breakup of our friendship. It felt like a knife through my heart, and while I understand now where she was coming from, those words should never be uttered to any mother who has lost a pregnancy, no matter what. Period. End of story. Through all of this, I learned who my true and real friends are. Friends I had known for a couple of years, or even a couple of months, reached out and were a source of support for me. I rebuilt other friendships that I had neglected for years, and surrounded myself with good people. I realized that time doesn’t make a solid friend; support, love, and encouragement do. Towards the end of 2018, I started searching for answers. Why was all of this happening to me? What did I need to do to change my own circumstances? I couldn’t just sit there and feel sorry myself; I had to make a change. I tried to be present with my friends and family and most of all, I worked on myself and my sense of self-worth. I immersed myself in reading reports on how low-income mothers are so poorly treated, and how the services provided to them are so limited in what they experience versus what I had experienced in my prenatal care. I started on a mission to change the way pregnant women are offered care and created an organization focusing on systemically changing how healthcare is delivered to low-income mothers, to ensure all mothers have access to just and equitable care. Anything is possible if you can change your circumstances and understand your self-worth. In December, I miscarried a second time. This time however, as odd as it sounds, I felt like I was okay. Maybe I was just numb, but when the second loss occurred, I had come to this deep realization there is so much more I need to do and change for other mothers out there, and I knew I would be okay no matter what. What felt almost impossible to deal with the first time I miscarried, I now could face because I was able to channel some of that pain to propel me forward in my mission to create a safe place for other mothers, and that felt bigger than me somehow. For other women who have experienced miscarriages, it’s okay to grieve and it’s okay to not feel okay. My experience is personal to who I am. Take your time. Each experience and person is unique and while I feel okay, others may not. Through these experiences, I realized I have a beautiful baby girl, a loving family, a roof over my head, amazing friends, and a supportive husband. I am thankful for these critical support systems that have made me feel okay. I will always be okay. Srilata Remala is passionate about issues surrounding social justice and equitable health care. She is the Special Project Manager at the Country Doctor Community Clinic and recently founded the Maternal Coalition, which works directly with providers and social service organizations on improving outcomes for mothers through systematic change. Srilata is deeply involved in philanthropy through her family foundation, as a Co-Trustee, The Satya and Rao Remala Foundation, as well as non-profits in Seattle, and is on the board of Open Arms and Seattle Children’s Hospital Foundation. 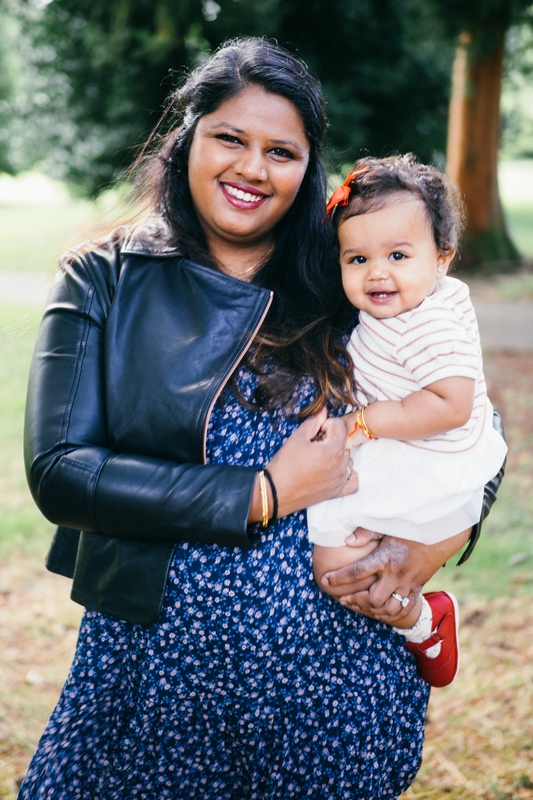 Srilata lives in Seattle with her husband, Charles, her 2.5-year-old daughter, Saanvi, and her dog Hunter. In her spare time, she enjoys exploring recipes from the villages in India her parents are from, exploring her artistic side, and binge-watching Netflix. To read more about The Maternal Coalition please visit: https://thematernalcoalition.org.